The Prince as Johnny Cool in conversation with Lee Scratch Perry with more than a little of Ba Ba Boom and Queen Majesty thrown in for good measure. A highly entertaining combination that is just a little left field, this was also highly unusual for the time as the flip side had a part 2 that carried on in a similar style to the A side. Johnny Cool was a Gangster film released in 1964 (see the poster). It’s unclear if the character Johnny Cool is taken directly from the film or from a Kingston bad man who adopted the name. This was released on Olive Blossom in Jamaica and on gold Fab in the UK. Johnny Cool is not currently available. Another song referencing Johnny Cool; “the girls them a call me Johnny Johnny Cool”. George Dekker (also known as George Agard) was a member of the Pioneers as well as a solo singer, there have also been suggestions that he is the half brother of Desmond Dekker but he has denied this. His first recordings were as part of the duo Winston And George where he cut the late Ska sides Denham Town and Keep The Pressure Down. Whilst his solo sides were very good they never enjoyed the phenomenal success of his group work with the Pioneers. Treating Me Bad was one of a handful of solo sides he recorded for Chinese Jamaican producer Lesley Kong. 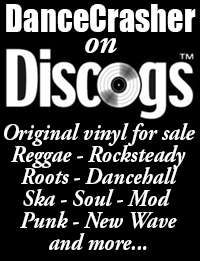 It was issued on Pyramid in the UK and on the Beverleys label, and a blank in Jamaica. The Jamaican issue of this was somewhat over shadowed by it’s flip side, Longshot Kick The Bucket by the Pioneers. 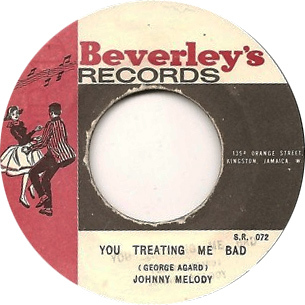 You Treating Me Bad has been reissued on the Trojan Rocksteady Rarities Box Set. A real gem from a young Junior Murvin as Junior Soul. Murvin cut a number of sides for Sonia Pottinger and Derrick Harriott in the late 60’s before moving on to greater things in the mid 70’s with Lee Perry. 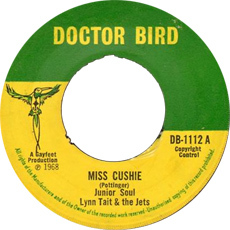 Sonia Pottinger produced many fine Rocksteady sides in the late 60’s and though stylistically different they are every bit as strong as the material coming out of Treasure Isle. Miss Cushie is currently available on the Rock A Shacka Vol. 16 CD: Orange Street Special â€“ Fabulous songs Of Miss Sonia E Pottinger Vol 2. 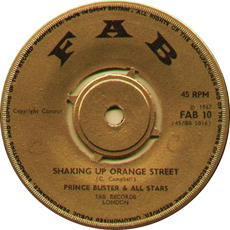 The Daltons only recorded four songs, all of them for Prince Buster. Never Kiss You Again was perhaps the strongest though they are all worth hearing. Who they were is a complete mystery, probably just two or three youths who tried a thing before disappearing back into obscurity. Their names may not be known but the music they made will live forever. 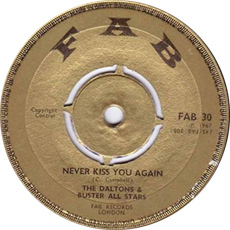 Never Kiss You Again was released on the Olive Blossom label in Jamaica and on Fab in the UK. Like so much of Prince Busters back catalogue it has not been reissued. 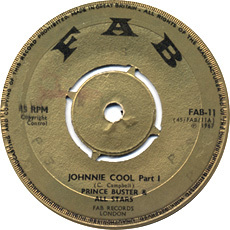 “You think you are the ruler, but I am the cooler” classic bragging that, along with it’s rarity, has made this very popular as a clash tune on the revival scene for many years. 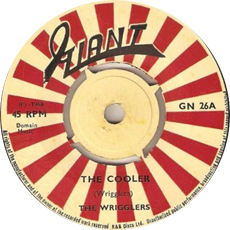 Not much is known of the Wrigglers who recorded just a handful of sides for Studio One but Albert Tomlinson may have been a member. This is one of the many great Studio One tunes that has not seen reissue. Dawn Penn takes on the theme to the UK film. This was originally performed by Lulu and was a Pop hit for her in 1967. 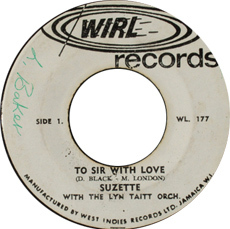 For some strange reason the Jamaican issue on WIRL credited the tune to “Suzette”. There was no original UK issue of this tune. Dawn Penn was at the top of her game when she recorded this in 1967, the same year she also cut the original version of the much sampled classic You Don’t Love Me AKA No No No at Studio One. Sadly only a few years later she had given up on recording and was not involved in the Jamaican music industry again until the late 80’s. To Sir With Love is available on The Bunny Lee Years CD on Moll Selekta Records (MS13) and on the Attack label CD, Lee’s Gold Volume 1. 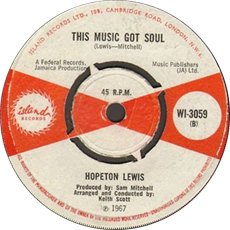 Hopeton Lewis – This Music Got Soul (Sam Mitchell And Keith Scott production). Keith Scott and Sam Mitchell were responsible for some astounding Rocksteady for Ken Khouris Merritone label. The Hopeton Lewis tunes were some of the best. This Music Got Soul is lyrically exactly what it says it is, a great soulful vocal, the rhythm still has a Ska feel to it (as did a number of Scott and Mitchell releases) but it compliments the vocal perfectly. The repetitive piano hook gets right under your skin. This Music Got Soul is available on the CD Take It Easy on K&K records. More from Hopeton Lewis, this time with Glen Brown. Apparently this was produced by the somewhat obscure Wong Brothers. I have no idea who they were but they were hardly prolific with only a handful of sides to their credit, all recorded around 1968. 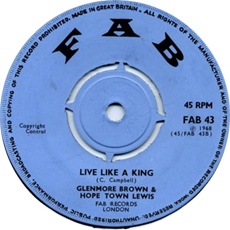 Live Like A King was originally issued on WIRL in Jamaica and Fab in the UK, it is not currently available on reissue. This uses the rhythm made famous by the Tennors Studio One tune Pressure And Slide though I believe that the Buster version came first(?). The saxophone on the intro is just superb and Buster’s sing/speak style of delivery works better here than on any other tune he voiced in the late 60’s. This is also known as Sweet Pea due to a mishearing of the chorus refrain of Sweet Beat (or even Seal Seal according to the FAB blank illustrated!). The rhythm became a Dancehall standard after Sugar Minott had a hit with Oh Mr DC on it at Studio One in the late 70’s. As is common with most Buster material this is presently unavailable…which is criminal. The Johnny is probably not Johnny Osbourne as is usually assumed. Young Wings Can Fly was written by the American composers Mort Garson and Bob Hilliard, it was a minor hit for Ruby And the Romantics in 1963. 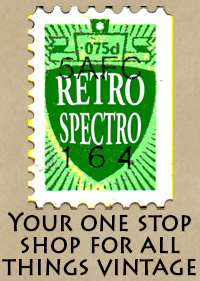 This was originally issued on Gayfeet in Jamaica (though the blank pre is more common) and on Doctor bird in the UK. There is also a very convincing looking Gayfeet reissue doing the rounds that is probably a bootleg. 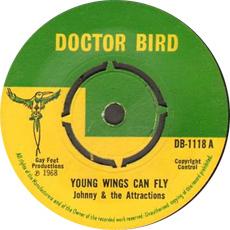 Young Wings Can Fly was re-released by Trojan on the Rocksteady Box Set and on a 10″ single. i reckon Live Like A King/Skinney (sic) Leg Girl are a Wong brothers production, same as Girl Your (sic) Cold/Soul Man which came out about the same time and has Hopeton Lewis and Glen Brown singing – mind you, that’s only my (ill) educated guess! “Young Wings Can Fly” is also on “Put On Your Best Dress – Sonia Pottinger’s Rocksteady 1967-68” (Trojan, 1990).